A home inspection is part of most home buying transactions. They usually happen after an offer has been made and accepted. With a foreclosed property, you might want to invest in an inspection before an offer is made. This will provide you with a better look at what will become a serious investment. 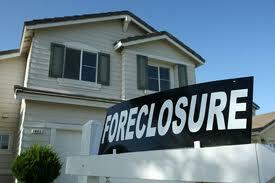 Sometimes a foreclosed property is owned by a bank or other lending institution. They want to get this asset off their books. If they balk at an inspection from a serious buyer, then you should move on. A foreclosed property has essentially been “shut down.” That is especially true in the winter months. If you’re looking at a property at a property now, you should try to get the water and electricity turned on for those inspection purposes. A qualified electrician might have to be brought in to certified that the home is safe to have power. These are usually more of an issue the longer a home has been unoccupied. Your home inspector should be able to check out the existing plumbing and relate any potential issues but their inspection stops at the interior of the home. The real problem could be with the sewer main lines running into the house. Just because everything looks good on the inside, doesn’t mean there won’t be a back up problem. A quick scope of that main line should reveal the truth. The previous occupant will be carrying a lot of finical baggage to on their credit record but the property itself could have some of that “baggage” in the form or liens. You want to make sure it is clear of those liens that wouldn’t be your responsibility. A thorough title search can turn those up. Once everything looks good and you take ownership of the property, the first order of business will be to clear out the trash. This is where Junk Works can make a huge impact. These professional junk haulers have a lot of experience with foreclosed home cleanup. Often it is easier for them to take everything away than just a few things! When Junk Works is finished, you’ll be able to bring in your contractors to get the home into perfect shape. Junk Works is your perfect foreclosure cleanup partner. Let them do all the dirty work! This entry was posted in House Cleaning Tips, Junk Removal and tagged foreclosure cleanup, homes, junk works on May 31, 2018 by Junk King. Last updated June 1, 2018 .